As you may have seen from my ramblings on our Twitter account and our Forum, I’m now the proud owner of a 2015 Skoda Octavia VRS Combi TDI 184 (DSG). As with all Euro5 and Euro6 diesel cars it’s equipped with a dreaded diesel particulate filter to help stop it belching cancer causing diesel particles into the atmosphere. Unlike my Nissan Qashqai, getting information on the DPF and the conditions needed for a DPF regen have been a little more easy to acquire. 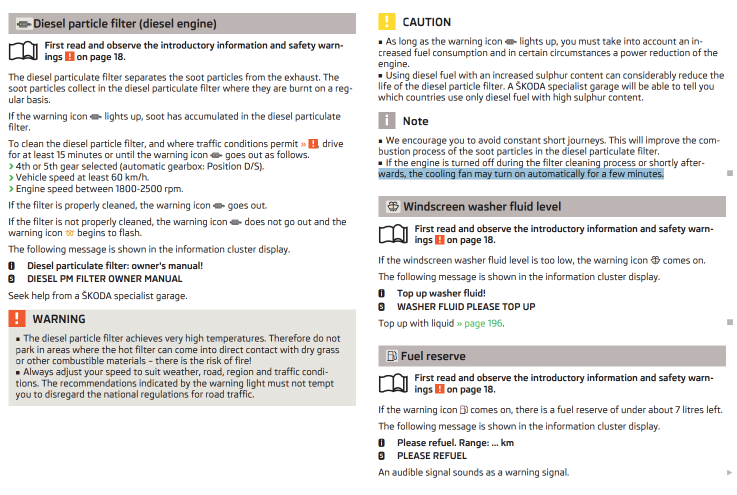 So for all you lucky Octavia owners out there – below is the DPF section from the Skoda owners manual. The diesel particulate filter separates the soot particles from the exhaust. The soot particles collect in the diesel particulate filter where they are burnt on a regular basis. If the warning icon lights up, soot has accumulated in the diesel particulate filter. If the filter is properly cleaned, the warning icon goes out. If the filter is not properly cleaned, the warning icon does not go out and the warning icon begins to flash. The following message is shown in the information cluster display. Diesel particulate filter: owner’s manual! DIESEL PM FILTER OWNER MANUAL Seek help from a ŠKODA specialist garage. The diesel particle filter achieves very high temperatures. Therefore do not park in areas where the hot filter can come into direct contact with dry grass or other combustible materials – there is the risk of fire! Always adjust your speed to suit weather, road, region and traffic conditions. The recommendations indicated by the warning light must not tempt you to disregard the national regulations for road traffic. As long as the warning DPF icon lights up, you must take into account an increased fuel consumption and in certain circumstances a power reduction of the engine. Using diesel fuel with an increased sulphur content can considerably reduce the life of the diesel particle filter. A ŠKODA specialist garage will be able to tell you which countries use only diesel fuel with high sulphur content. We encourage you to avoid constant short journeys. This will improve the combustion process of the soot particles in the diesel particulate filter. If the engine is turned off during the filter cleaning process or shortly afterwards, the cooling fan may turn on automatically for a few minutes. My browsing of various owners clubs has shown that the Octavia DPF management system seems to deal with DPF regeneration and cleaning in a much better way that Nissans of old. There’s also been some concern of what some have described as a burning rubber smell and fans continuing after the car has been parked. 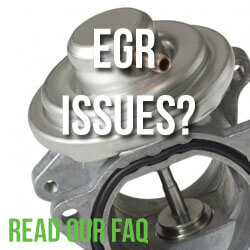 These have been attributed to a DPF regeneration that is underway, even with engine no longer running. The newer VW group common rail engines have the DPF and OxCAT assembly attached to the turbo outlet. This allows for maximum heat retention to ensure the most efficient regeneration. Common rail injectors don’t rely on the camshaft position. This allows the fuel injection system to be much more flexible when it comes to adding fuel later in the combustion cycle (post injection). I was very surprised to see a fellow MK3 VRS tdi owner with DPF issues. The unfortunate owner had posted on the Octavia VRS owners club Facebook group explaining that it’s happened to him a couple of times since he’s had the car. Obviously I helped as much as I could but my advise was to seek help from his local dealer as I suspect that something more is at fault. We’ll keep you updated. 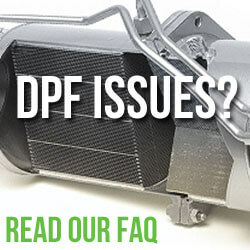 Can I clean my DPF and do cleaning additives actually work? Diesel remap & tuning boxes will my diesel particulate filter DPF cope? We’re looking for further information regarding the effectiveness of the DPF filter in the new Octavia range and especially those of you who have a diesel tuning box or have had your Octavia or vehicle remapped. We’d love to hear from you and your experiences with the Octavia so please leave a comment below. Thanks to dstev2000 from the Briskoda forums for some of the technical information above. This article has proved to be hugely populate with Skoda VRS owners – we’ve now create another FAQ for the Skoda Octavia Mk 2 ii (2004 to 2012). We hope this proves to be as popular and helpful as this article. according to the manual i only need to drive above around 37mpg to activate the regen.is that correct? will this destroy my car. im panicking because i learnt about dpf after purchase. by the way i have never seen a regen symbol in the dash this also applies to the dpf symbol either. I really wouldn’t worry. 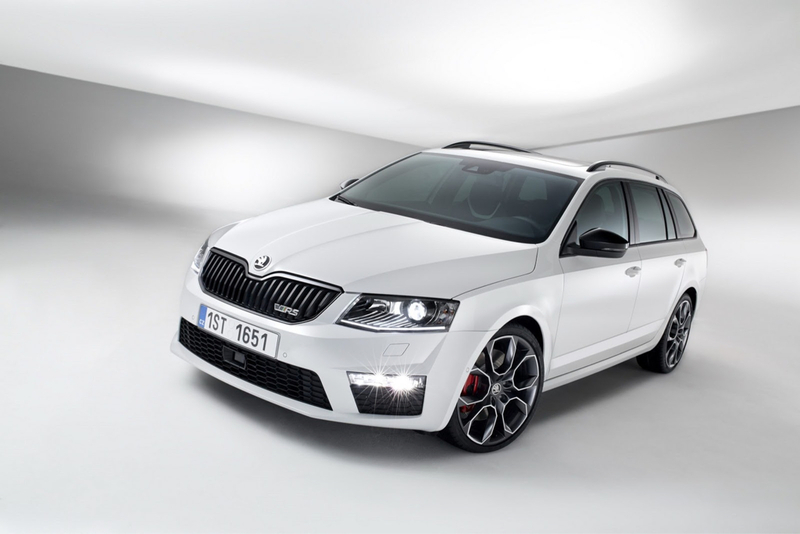 Skoda made lots of improvements to the DPF regen system in the 3. I do similar trips in mine and it’s been absolutely fine so far. Just make sure the car gets up to temperature and you have the occasional longer trip out. Do you have the fans stay on after you’ve stopped? That’s a sure fire way of telling that a regen wasn’t successful. I’ve got a 2014 63 plate octavia vrs tdi and I mainly do short journeys around town and sometimes my fan stays on after stopped . I’ve had the dpf light come on a few times but I’ve just took it down the motorway for a few miles on way home and that usual works . I’m still worried about dpf breaking and have thought about buying the petrol version . i have only heard the fan once after switching off the engine since i have had it. yes, i normally go for long extended runs around twice a month. i find this whole dpf technology quite annoying not for its intended purpose but due to the lack of information from the car companies. 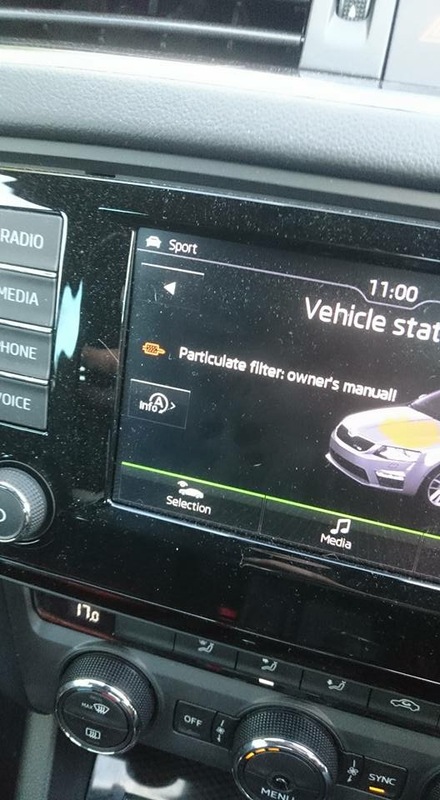 take for example my skoda manual mention nothing about the dpf system in detail (like a chapter or a few solid paragraphs) i dont even know whether mine is active, passive or an hybrid between the both. im not sure if its ok to leave the dpf on or should i remove it from the car. there are no digital indication when the regen is actually taken place, for example has it started or when will it stop. lastly on the internet all the experts are proposing and stating different theories, ideas or help in forums which lead me to think they dont have the full dpf info either. yet they all know that when the dpf blows then the owner will have pay a huge amount of money or crush the car and buy a petrol car instead. apart from all of the above i really love the octavia. really good car to drive. Recently had the emission correction carried out by Skoda Garage. Since then the cooling fan runs for about 15 seconds after I turn off the engine. Today I have noticed that the DPF warning light has come on. Is there any connection between the emission correction and my current experience. You can´t force active regen because its automatic process (when filter gets 45% full). It takes 10-15mins under normal driving to regen. You don´t need high revs but if you want to do it quiqer then run one gear higer than normally (but you don´t get it done no way under 10min) . The regen is ended when rpm drop to normal level (around 700rpm) and start-stop is working again. In city driving it takes 4 to 5 days before it needs to regen again. Octavia III VRS @ 75 000km on clock. but some time I see note “Engine need to run” from that I dedicate that motors is regenerate DPF , Am I Right ? 1 Pings/Trackbacks for "Skoda Octavia iii 2013 Diesel Particulate Filter DPF – Owner’s Manual – Regeneration FAQ"